Fabulous Channel by Giselle Claudino: American Idol New Judging Panel - Biggest Stars Ever! 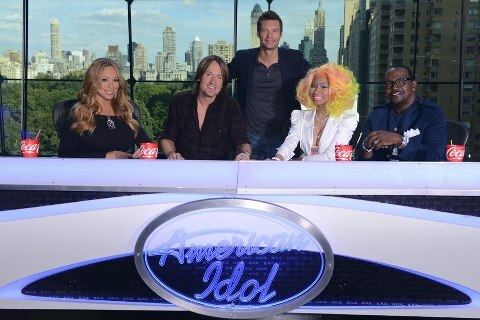 American Idol New Judging Panel - Biggest Stars Ever! For those who like American Idol as much as I do, will love the brand new NEWS that just came out about the judging panel. Fox took a little long to decide but they did a great job with the choices! Can you image contestants being judged by one of the biggest R&B singers, our diva Mariah Carey, also the queen of pop Nicki Minaj, famous country singer Keith Urban, and of course our music producer Randy Jackson? It will be a awesome season!! I can't wait! Now you know.Those are the big names that will be helping to choose our next American Idol. The 12th season debuts on January 13 on Fox 11 channel.